Australian entertainers The Crackup Sisters will be coming to New Zealand for the first time to host one of the well-known Equidays Nightshows, the Equitainment Extravaganza, at both Mystery Creek and Christchurch. Equidays features a line-up of education, exhibitors, competitions and entertainment and will be coming to Mystery Creek from 12-14 October and the Canterbury Agricultural Park from 20-21 October 2018. Usually a sold-out show, the Crackup Sisters will bring a new dynamic to the popular Equitainment Extravaganza with a jam-packed stage show as well as the impressive collection of performances from other equitainment acts. 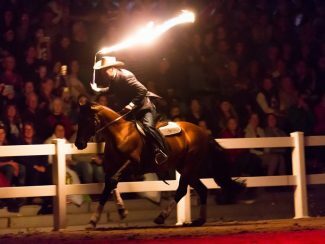 “We’re excited to have Amanda-Lyn and Alyssa hosting the show this year, they’ll bring a refreshing act to the show that will work well with the other performances throughout the night” said Equidays Event Manager Ammie Hardie. “We’ve got some favourites coming back to entertain the crowds again this year and we’ve weaved in some new acts to ensure visitors are enchanted by the performances on offer, topping off their Equidays experience” said Hardie. The Australian duo are inviting everyone to attend a house warming party of their New Zealand Homestead at Equidays. Trained in dance, circus, whip cracking, knockabout acrobatics, aerial stunts and comedy; the Crackup Sisters will entertain the crowd throughout the night with their hilarious performance and shenanigans. Join the party hosted by the sisters which will feature a blend of acrobatics, comedy, barrel racing, liberty acts to music, stunt riding, and horsemanship with the Crackup sisters being joined by Dan Steers, Russell Higgins, the Wilson sisters, Bryan McVicar, Equine Films horses and riders and 2017 Top Talent winner Amelia Newsom. Those attending the Mystery Creek show will see a ‘Beauty and the Beast’ performance from two horses and 12 performing arts students from Nga Tawa Diocesan School lead by Sarah Rolston, taking the crowd on a journey from light to darkness with horses and dancers brought to life with dramatic lighting and theatrical music. The Equitainment Extravaganza will feature on the Saturday night of Mystery Creek and the Friday and Sunday nights of the Christchurch event. 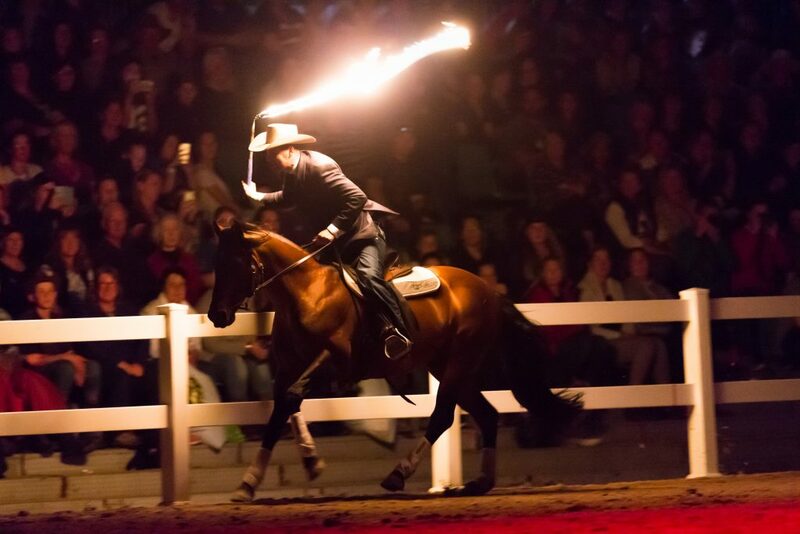 The also popular Showjumping Spectacular will feature as the Friday Nightshow at Mystery Creek and part of the Saturday Nightshow at Christchurch. This event showcases the thrilling sport of showjumping combined with the lights, music and crowds of the indoor arenas. Equidays Top Talent is back again this year hosted by the Wilson Sisters who will provide the opening and closing acts sandwiching some of the country’s best equine talent. This will feature as a matinee on the Sunday of Equidays at Mystery Creek and as part of the Saturday Nightshow of Equidays in Christchurch.